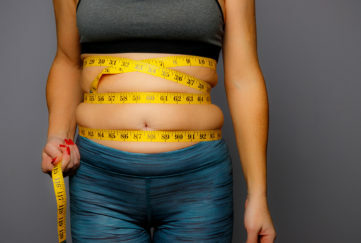 > Do You Know The 12 Signs Of Breast Cancer? 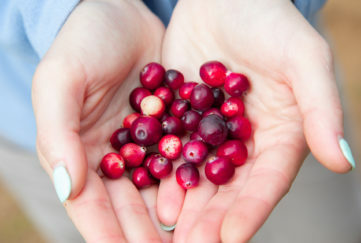 Would you know how to spot breast cancer? 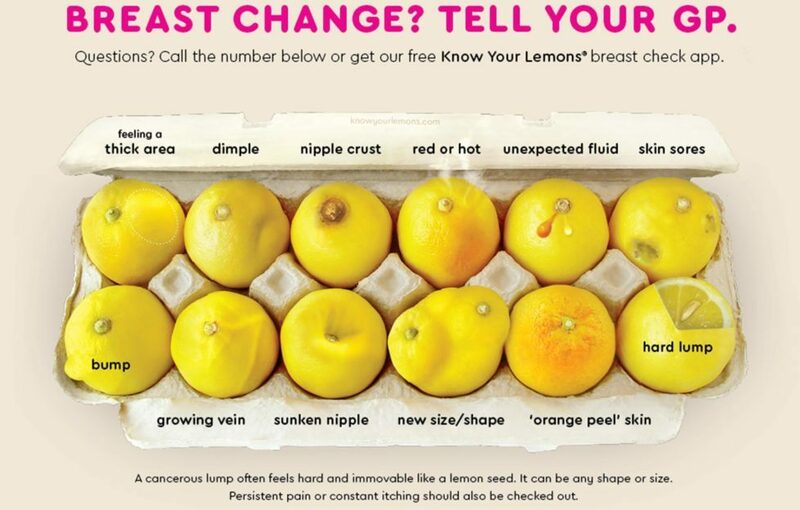 In Breast Cancer Awareness Month, we’re backing a campaign to create awareness about the 12 signs of breast cancer through a striking image of lemons in an egg box, each representing a different possible symptom. 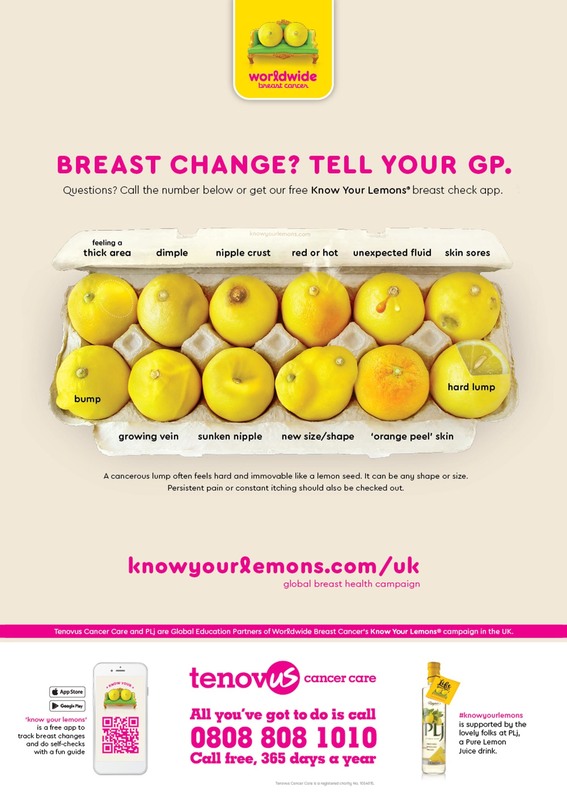 The campaign is a partnership between Worldwide Breast Cancer’s ‘Know your Lemons’ initiative, the iconic sugar-free pure lemon juice brand PLj and Cardiff based charity Tenovus Cancer Care. The illustration is being carried in a free awareness booklet on the necks of over 100,000 bottles of PLj lemon juice in supermarkets and health food shops up and down the country and is being featured on Plj funded posters in GP surgeries UK-wide. The posters also carry the Tenovus Cancer Care Helpline number. An initial print run is being displayed from today in surgeries in Wales and the UK as well as Tenovus charity shops and further sales of PLj throughout the month of October will enable the printing and circulation of more so that the campaign can become as widespread as possible. 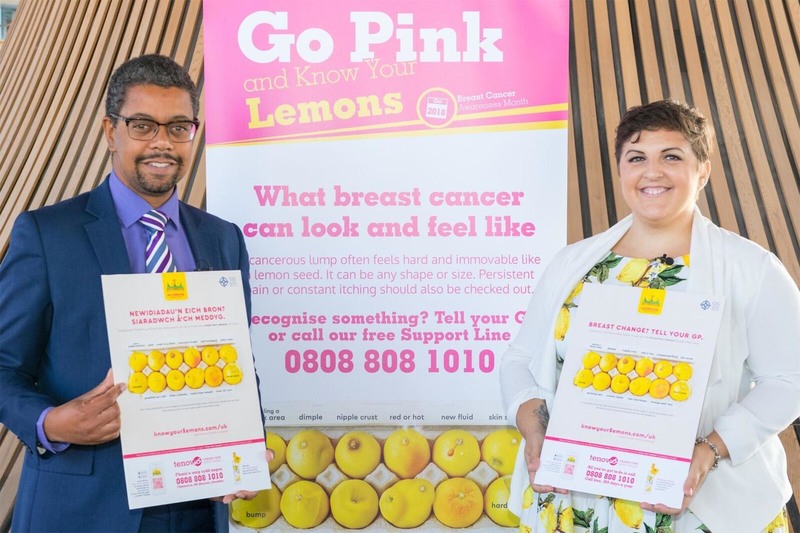 At the launch, Health Secretary Vaughn Gething met Dawn Wilson, 36, a ‘Know Your Lemons UK’ ambassador to discuss the campaign from a personal perspective. Dawn was diagnosed with breast cancer in 2014 but experienced delays because a lump on her breast was wrongly diagnosed as a cyst by her GP. Her cancer initially went into remission but returned last year and she now been given a terminal diagnosis. Since then she has been working tirelessly to spread the message.